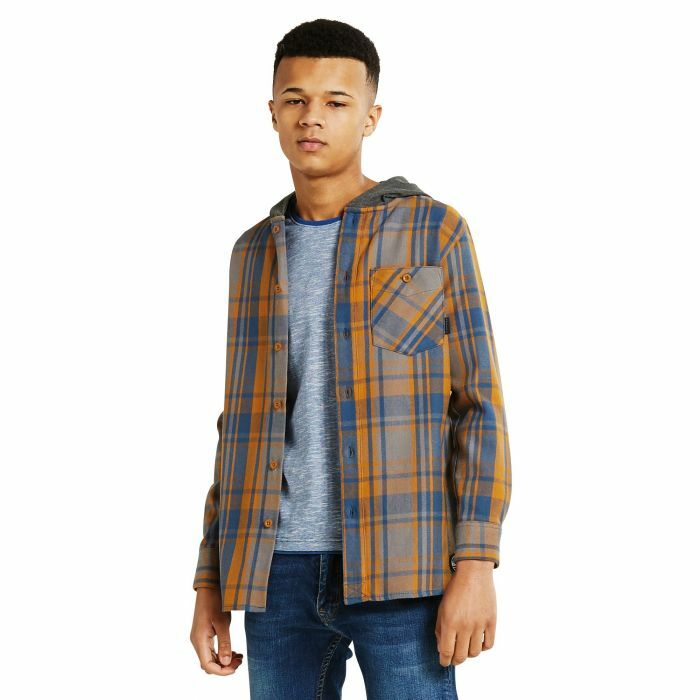 Heavy-weight checked shirt with a jersey lined hood. A winter staple. Made from durable brushed cotton. Naturally breathable. Curved hem. Patch pocket and adjustable cuffs. Casual fit.